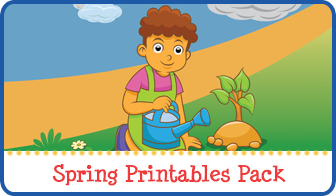 Children are not born with all of the fine motor skills required to complete these tasks. 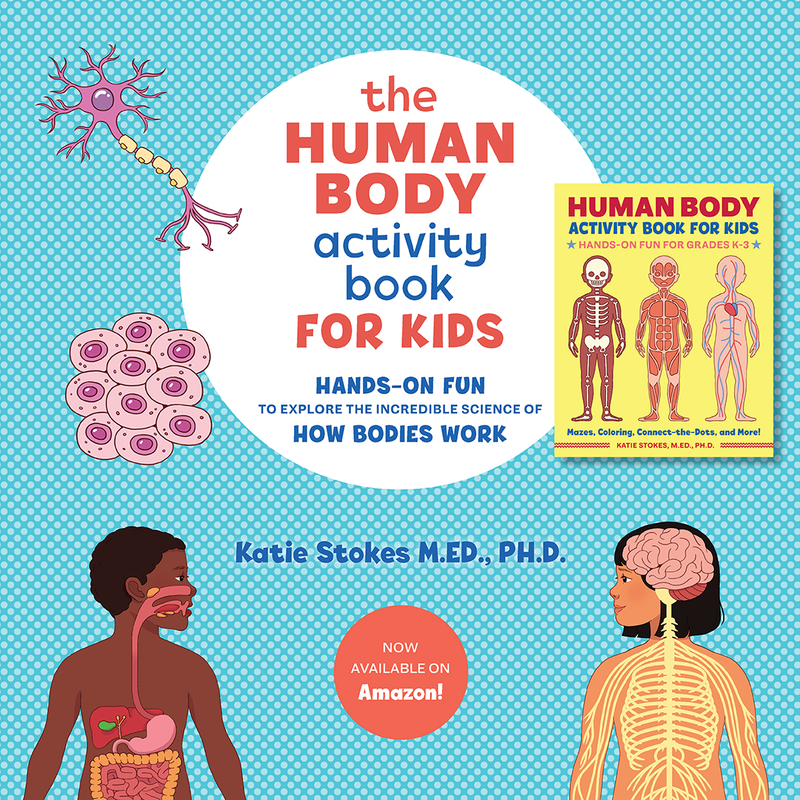 Instead, their fine motor skills develop over time through physical maturation and lots of fine motor practice. 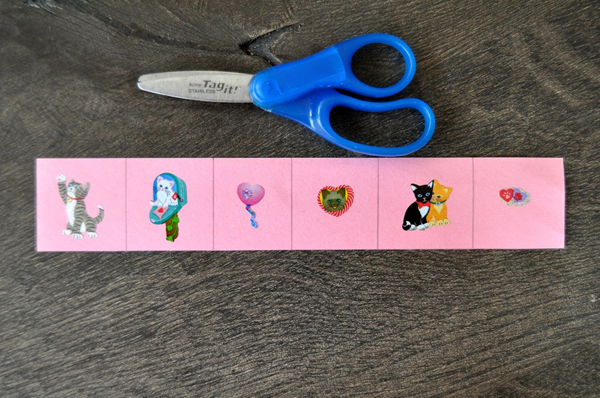 Below I’m sharing several fine motor activities to inspire some ideas for giving your kids the opportunities they need to develop and strengthen their own fine motor skills. 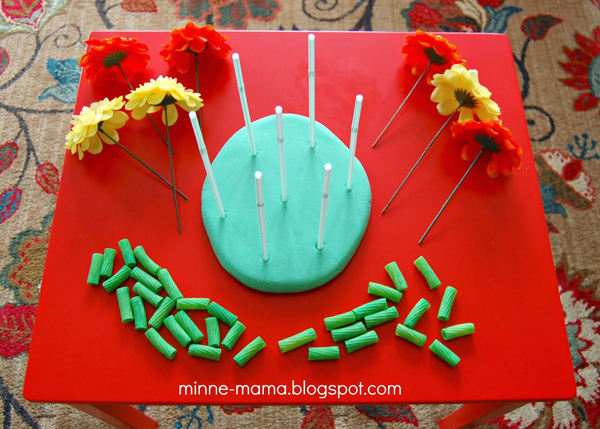 Minne Mama shared a beautiful flower patch fine motor threading activity that is perfect for springtime. 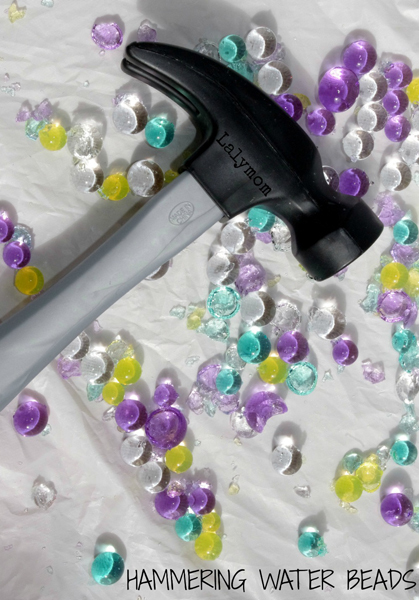 I’ve already got it on my radar to try out this hammering water beads activity from Lalymom. I know my kids would love an excuse to pound away with a hammer! 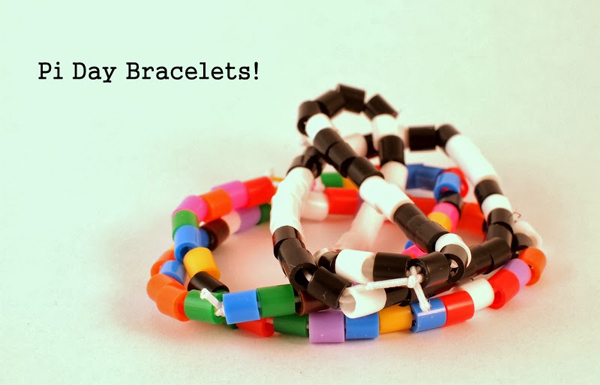 Pi Day (3/14) may be over, but stringing pearler beads onto elastic cord to make these Pi Day bracelets from Pink Stripey Socks surely provided an excellent fine motor workout. 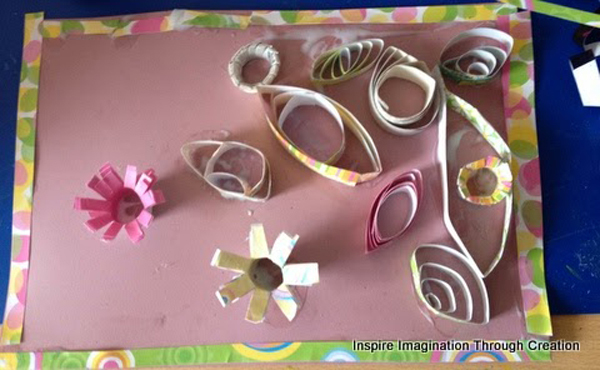 This quilling activity from Inspre Imagination through Creation not only makes for a fun art project, it also develops fine motor skills as kids work to wrap their papers tightly around the quill. 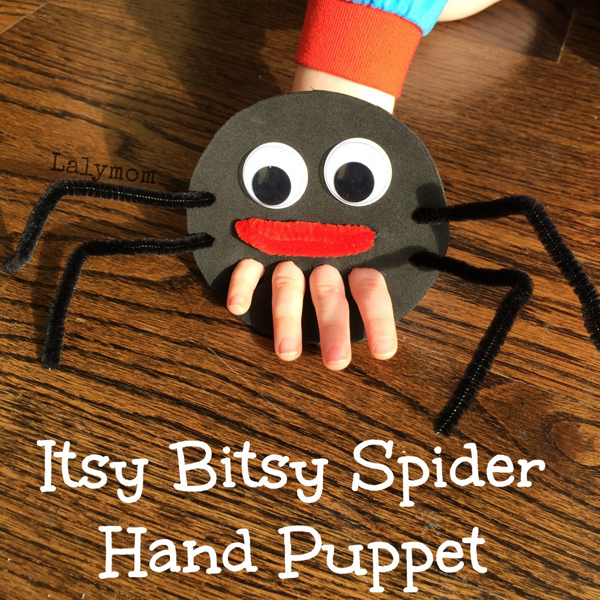 Lalymom shared an itsy bitsy spider hand and finger puppet that can be used to strengthen fine motor skills while learning about our eight-legged friends. 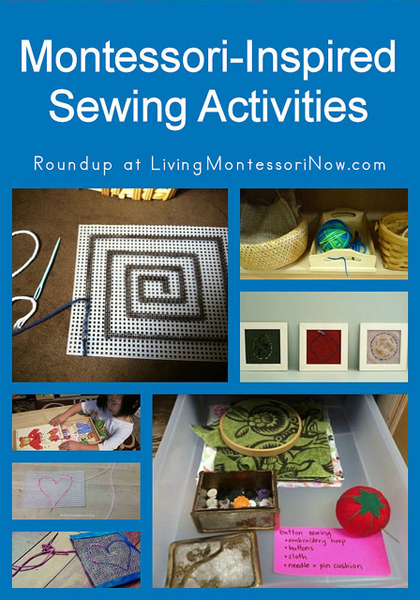 Living Montessori Now rounded up some fantastic Montessori-inspired sewing activities. As a quilter (or, more accurately, former quilter, since I really haven’t done any sewing at all since having kids), I’d love to teach my kids some basic sewing skills. Finally, if you are interested in developing your children’s scissors skills, definitely check out this post from Sorting Sprinkles. 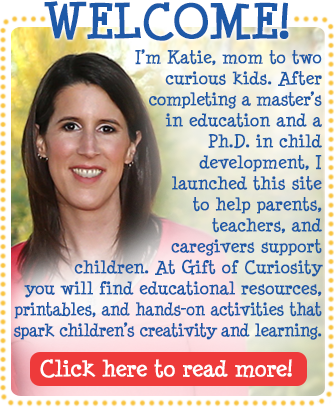 She shares some ideas on scissor progression that parents of young children will likely find very informative. For more fine motor activities, see my Fine Motor Activities page or my follow my Fine Motor Activities board on Pinterest! 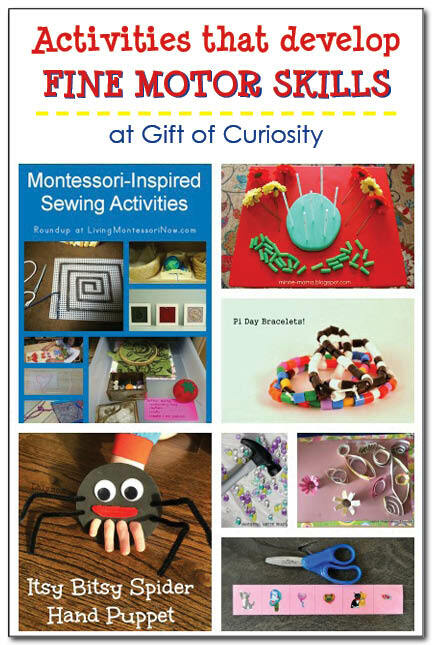 Follow Gift of Curiosity’s board Fine Motor Activities on Pinterest. These are brilliant ideas! 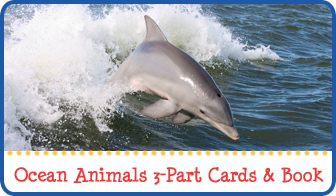 Thank you so much for sharing-we will be bashing water beads all weekend!! 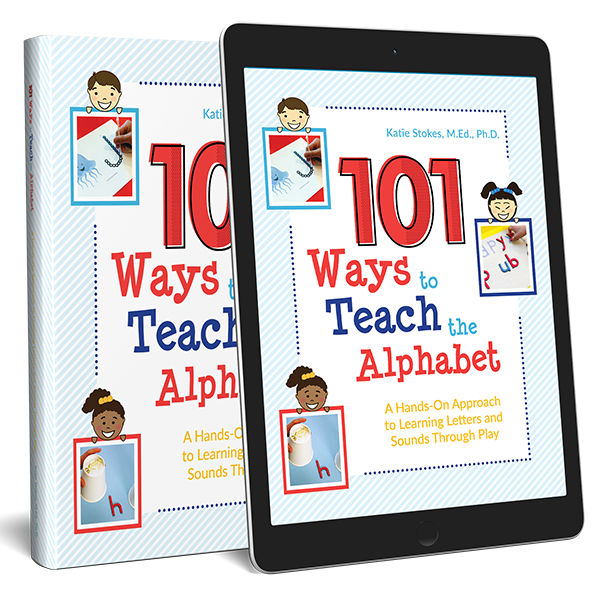 Great list – I have some of these already pinned, but some are new to me!! Those are great fine motor activities. Thank you! I just pinned it to my Preschool Fun board. Great list, I am so honored to be on it!!! Thank you so much for featuring my ideas!